What is politics like? I often wonder especially when watching news footage of politicians. There are many cases of corruption and scandals that make the headlines so one wonders can it be the cradle of the worst people? Is it because politics attracts those kinds of people or is it because politics simply corrupts? Is this how the game is played, the unspoken and unwritten rules of the game? When we look at elections in North America, we notice that those who play the honest cards end up not winning. It seems that nice guys tend to finish last, that is, if they finish at all (I use the word “guys” since politics tends to be sexist, and women, if elected, need to be perceived as tougher than men, see “Iron Lady”). Why is it so? It seems that the game is simply designed or rigged this way. First of all, you need votes. In order to get votes, you need to be popular. Those who tell he truth are not. People usually vote for those who tell the most convincing lies. In order to be perceived as popular, you need good press. That's where the media kicks in. The media can spin your image anyway it wishes. You can turn from a loser to a hero overnight, and vice versa. Such is their power. They are the ultimate spin doctors of today's world. You can get good press by doing heroic deeds, but that would be too difficult for some of our politicians. So what do they do instead? They use big money from major corporations and companies, a process known as lobbying, to get the news they desire. It can be done in both directions. You can either increase your own positive notes and characteristics or blemish the reputation of your rival, or a combination of both. To talk dirt about your opponent, you can dig up dirt from his past, quote him out of context, or simply fabricate lies about him. The information then may or may not be based on the truth, but once it is out in the media and inside the public's head, it is difficult to retrace steps and erase that impression come voting day. Those are the self-help steps to get elected. 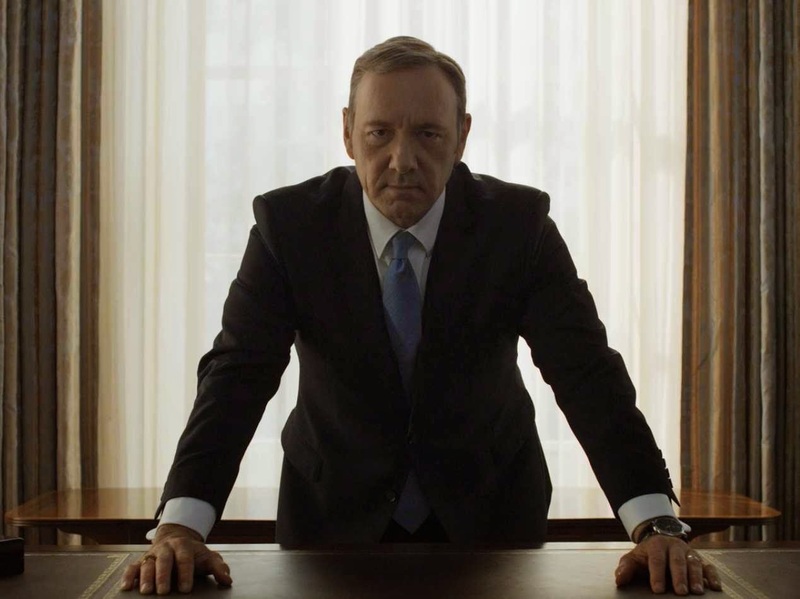 Now to get to the top of the chain of command, we can ask our "frank" friend Francis Underwood for some guidance. The series House of Cards (both the British and the US version) is so popular because we feel we are dealing with an evil character straight out of a Shakespeare play. But at the same time, Francis Underwood is also a prototype of a politician: ambitious, ruthless, and thoroughly and relentlessly Machiavellian. I was surprised and shocked actually to realize that Francis Underwood - or Urquhart for that matter - is not driven by ideology or convictions. In fact, it is a case of tabula rasa, pure blank sheets with him. It had been my impression that people enter politics because of a cause dear to their heart or because they want to change the world or alter how the system is running. None of that applies to Francis Underwood. He simply wants to get to the top by any means necessary. He lies to people, including friends (in fact these people do not and cannot have any friends with their attitude and demeanor); he creates factions and conflicts between people to serve his own benefits, and he does not shy away from actually eliminating people from the surface of the earth (I hope the latter part is merely fictional, but I would not be surprised if it actually had kernels of truth in it). Power for power's sake is what it's all about. It is not money that drives Underwood. I do not think politicians make that much money in comparison with private firms. But through lobbying and strategically redirecting funds, one can increase the bottoms of one's pockets too and can retire with the promise of a stable position in the eminently affluent private sector. The series House of Cards is great in showing us the political process. Politics becomes a matter of negotiating votes. It is as if everyday you are experiencing life as a car salesman. You sell and exchange votes for other votes or for past and future favors and promises. I get you that bill, if you vote for mine later, quid pro quo. Nothing seems sacred; there is no idealism here. What suits the politician best at the time is what needs to happen. And politicians line up to wash each other's backs or stab each other in the back. And the line between the two outcomes is so finely drawn. One might say that the scenes and situations depicted in the popular series are grossly exaggerated and do not reflect the truth, that it is not unlike Homeland, which has gotten off the rails with some of its highly implausible scenarios. That may be true, but one must not forget that the writer of the series, Michael Dobbs, was a British conservative politician. He must have known the ropes, and perhaps he is communicating them to us in an entertaining albeit somewhat fictional manner. Or perhaps this is merely a case of politics as usual. If it is so, then I am thoroughly disappointed. Not that I have any plans to go into politics. Even on good days I could not handle the stress and paranoia, the fact that the press and others are constantly watching you waiting for a faux pas or gaffe to report on or a cherished secret to expose. Not that I have that many cherished secrets to brag of either, but gaffes can happen when one accidentally says something one did not mean to say, especially in the mornings before one had had sufficient coffee in the system or when remarks are taken completely out of context. It would become a life of constant rehearsal where one needs to weigh one's words very carefully before one utters them since in politics a bad day could mean the end of one's whole career. As an idealist, politics is simply not for me. I would have perhaps accepted the honor and duty that comes as a Roman senator, where the affluent saw it as an obligation to put forward the principles of the state and not get paid for their work. Although even then, you could be stabbed by certain brute politicians or be forced to commit suicide for your mishaps. No, I would rather have something worth pursuing, more like the philosopher's stone in lieu of fleeting things like power and money.